The natural arch on the right is called Devil's Pulpit. 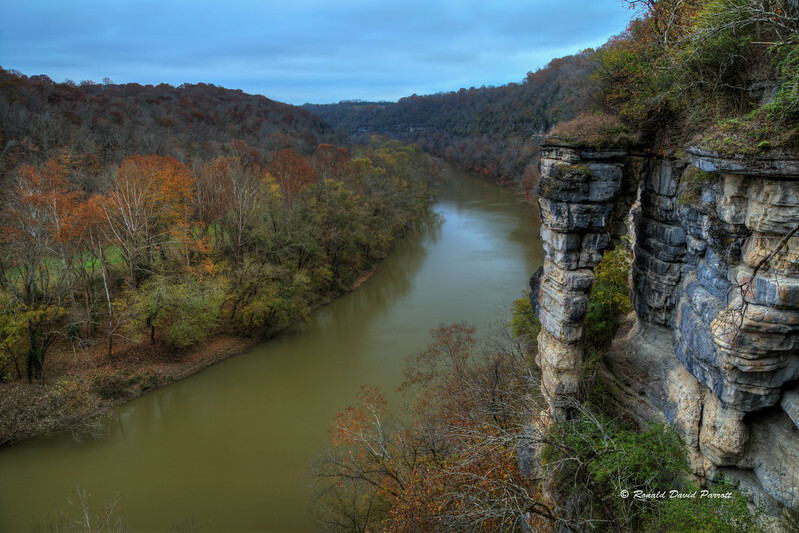 It is located along the Kentucky River Palisades in Jessamine County, Kentucky. Arches of this type are commonly referred to as "jug handle" arches. If the top part of the arch should ever separate from the rock wall it would become a pillar. Nearby natural pillars are commonly called chimneys. There is a natural window near the base of this arch, but it isn't visible in this photo.